An action-adventure game of epic proportions, Towelfight 2 will beard-slap iOS and Android gamers alike with copious bloodplosions, procedurally-generated levels, insane boss fights, 14 powerups, and 40 unique weapons enhanced by 80 augmentations. Players can dispatch myriad foes with a cornucopia of laser-blasting bees, speed-boosting unicorns, spiraling praying mantises, whales in heat, and ultra-defensive turtles, among others. Towelfight 2 is a spiritual successor to Towel Fight of the Gods, Butterscotch’s entry in 2012’s Global Game Jam. Though it could be described as a “dual thumbstick shooter”, the description falls short of the game's TRUE POWER. One of Towelfight 2’s key features is its shot rotation system, which allows players to mix and match a variety of weapon types into a single clip, then unleash them on enemies in a flurry of insanity. Although the game contains in-app purchases, they are not compulsory in the slightest -- the in-game prices are balanced without IAP in mind. As such, the IAP store is essentially a time-saver for players who wish to cheat. The IAP functions will be available only to Google Play customers upon launch, though we may implement them on the Amazon and iOS platforms in the future. 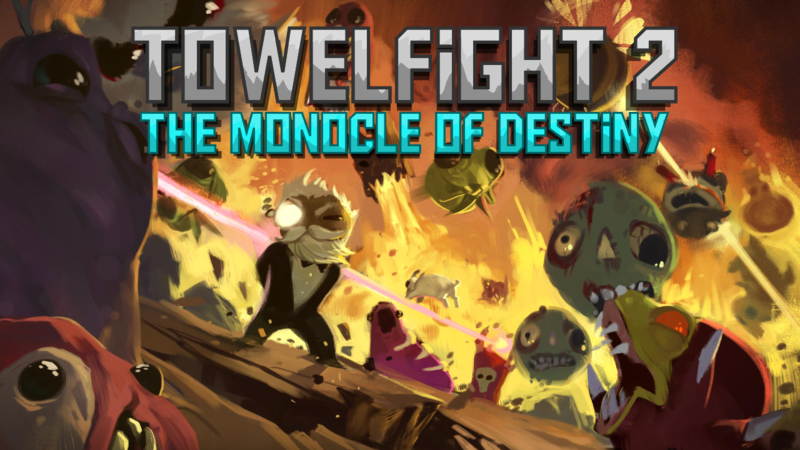 To promote Towelfight 2: The Monocle of Destiny and grow its popularity (top games), use the embed code provided on your homepage, blog, forums and elsewhere you desire. Or try our widget. Donut County is a whimsical physics toy that gives players control of a mysterious hole that gets bigger each time they swallow something.